Dr. Tsering Norboo, Teachers and others during the concluding day of teacher training. With the participation of about 32 teachers, a 10-day teacher training themed ‘Integrated Joyful Learning’ concluded on March 7 at Government Middle School, Phey. The training started from February 25 and was sponsored by Aktion Ladakh. 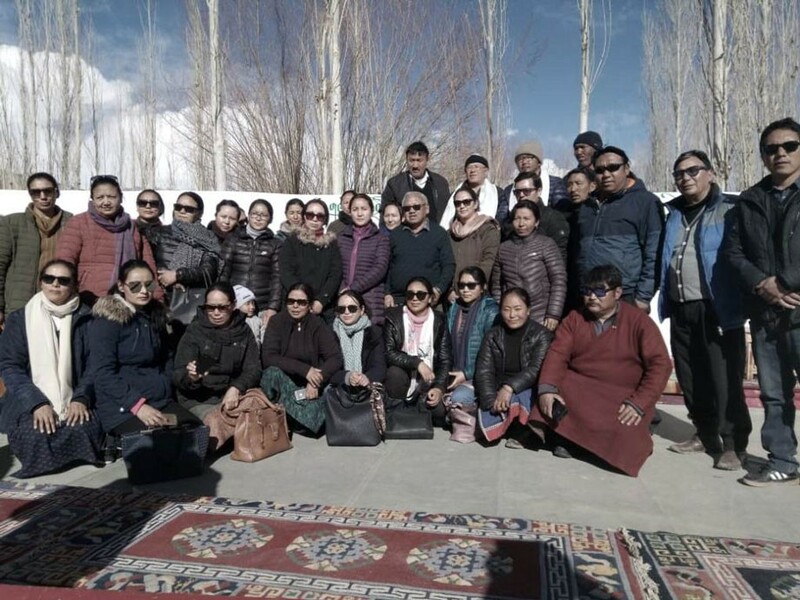 The resource person and experts during the training include Tsewang Norbu Vivek, Motivational and inspirational speaker, Stanzin Dorjay Gya, Filmmaker, Tsetan Angchuk, Former Headmaster of Spituk School and Urgain Yangphel, Teacher, Phey School. Dr. Tsering Norboo, Coordinator, Aktion Ladakh said, “It is very important to have faith in oneself and identify the skills. People should seriously think and have a broader perspective. One must ask the smallest doubt to have clarity on the subject. In these 20 years, I have observed changes in the teachers and thrilled to see all the development that has taken place”. “With less participation of people, there will definitely be no development. Public and the government both should take responsibility and when collective contribution comes example can be set for many”, he added. He further recommended the government and people to have equal participation mainly in the education sector. Tsering Mutup, Goba, Phey said, “The teachers of council model school and primary teachers of Phey, Nimmo, Spituk took the training. The main purpose of the training was to help teachers advance their teaching skills and aim to have the same standard of teaching as private schools." Talking about the training he said that such training should be a continuous process and we hope that the teachers have taken full advantage of the training. He further added that it is necessary to give training to the teachers to keep themselves updated. Padma Yangzin, Zonal Officer, Nubra, Urgain Yangphel, Teacher, Tsewang Dorjey, member, Social and Educational Welfare Association (SEWA), Shara and Rinchen Dolma, Head Master Phey School also spoke on the occasion.